As bad as I (and I suspect most of my fellow Red Sox fans) felt about last week, the team went 3-2 during that span although at 5-10 they were still fourth in the AL East. In this week they finished up their series with Baltimore with two more games including the traditional morning game on Marathon Monday. They then made their first trip to the Bronx to face the Yankees for the first time this season before wrapping up the week with a series in Tampa against the first place Rays. The goal, in my mind at least, was for the Sox to win the last two against the Orioles before going on to beat up on a Yankees team depleted by injuries. That would set them up nicely to be competitive in Tampa while picking up some ground in the division. As the old saying goes, though, "man plans and God laughs" and in this case, the baseball gods had a hearty chuckle at the Red Sox expense. (4/14 vs. Baltimore Orioles): David Price has been the only consistent starter for the Sox so far and he continued that trend by throwing seven shutout innings (the longest outing by a Boston starter in 2019) and only allowing three hits while striking seven batters out. Xander Bogaerts hit a sacrifice fly in the fourth inning to make it 1-0 and that's all the team would need, but for good measure Xander crushed a three-run homer in the eighth inning for some insurance. It all added up to a 4-0 win and it looked like the Sox had put it together and could move forward playing better baseball. However, there was still the matter of one more game against the Orioles on Patriots Day to wrap up the series. (4/15 vs. Baltimore Orioles): The Sox were rained out on Marathon Monday last year, so I was looking forward to seeing them finish off the lowly O's and contribute to the party atmosphere in the city (even if it was cool and rainy). 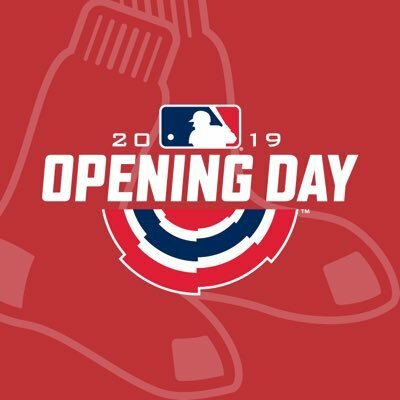 For some reason, though, Alex Cora moved Chris Sale's start back a day to have him pitch in Yankee Stadium and gave the spot start to Hector Velazquez. That tipped me off right away that this would be a bullpen game, although for the first few innings it looked like it might work out. He only gave up a run in the second inning and it was 1-0 heading into the fifth before the Red Sox imploded. Marcus Walden gave up three runs in the fifth and Baltimore added four more before the game was over. The lone Sox run came via Steve Pearce grounding into a fielder's choice to drive in a run. It all added up to an 8-1 loss and a lot of boos from the home crowd. I declared it the low point of the season, but I soon realized that I had spoken too soon. (4/16 at New York Yankees): For some strange reason the Sox played another two game series, this time against the hated Yankees. 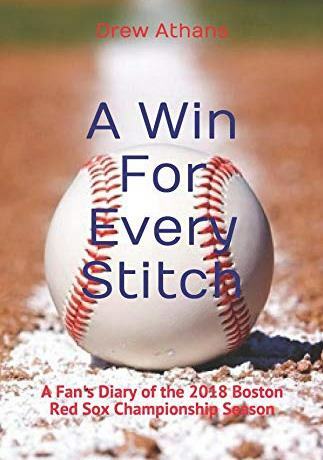 With Chris Sale on the mound (even though he hasn't yet been good this season) and the Yankees absolutely decimated by injuries it seemed like the perfect opportunity for this team to get back on track. Instead what happened was such a debacle that it supplanted the previous game to claim the title of "2019 season low point." Sale's velocity was up and in the mid-to-high 90s, but he was still extremely hittable. The Yankees tattooed him for four runs but it felt like so much more. He only lasted five innings and after the game went off on himself for his poor pitching this season. Back to the game, the Yankees kept pouring it on by adding another four runs including a brutal three-run home run by some nobody named Mike Tauchman (who had four RBI in this one). The fact that a Yankees squad made up almost solely of AAA guys to fill in the gaps around their injuries did this to the Red Sox starters and ace pitcher was just a disgrace. (To be fair, Yankees starter James Paxton was masterful in this one, pitching eight innings of unhittable baseball). I don't think I've been as angry at the Sox in a long time as I was after this one. (4/17 at New York Yankees): All I was thinking heading into this game was "please don't get swept." There's nothing worse than to get swept by the Yankees, but especially when the Yankees as currently constituted consist of Aaron Judge, Gleyber Torres, and a bunch of scrubs and AAA call-ups. For the first six innings of this game it looked like the Sox manned up, tightened things up, and were playing the way we all expected them to this year. Nathan Eovaldi turned in his best performance of the season in only allowing a single run over six innings while the Boston offense staked him to a 3-1 lead. JD Martinez (solo home run) and Christian Vazquez (two-run homer) provided the offense and it seemed that the Sox would escape the Bronx with a split. Instead, the bullpen which had been so much better than we all expected heading into this season finally turned back into a pumpkin. In the seventh inning Brandon Workman could not get anyone put away and walked the bases loaded with a hit and two walks. That led Alex Cora to bring in Ryan Brasier who quickly got ahead of Brett Gardner 0-2 before grooving him a fastball that ended up in the comically short right field porch at Yankee Stadium. The grand slam completely changed the tenor of the game and took the wind out of Boston's sails. The Sox did have a chance in the eighth when they loaded the bases with two outs, but they continued to play stupid baseball when Eduardo Nunez swung at the first pitch (which wasn't anywhere close to being a strike) and popped up meekly to right field to snuff out the threat. For the third day in a row, the Sox reached a new low point the night after hitting their last one. This 5-3 loss dropped them a whopping 8.5 games behind Tampa with an almost make-or-break series (how ridiculous does that sound in mid-April?) against said Rays starting Friday. (4/19 at Tampa Bay Rays): Eduardo Rodriguez turned in another start that was less frustrating than he usually is...and for the second time this season! It was a good thing, too, because the Sox opened up this series against the best team in the division and needed everything they could get. The Rays actually took a quick 2-0 lead but the Sox battled back and went ahead 4-2 in the middle innings. However, the Rays tied it up in the sixth and you could see the look on the Red Sox faces when it happened like "here we go again." Luckily they found some of their old magic in the eighth inning with solo homers from both Mookie Betts and Mitch Moreland. That gave the Sox a 6-4 win and the relief you could see on their faces (especially Mookie's after he hit his homer) was noticeable. Rodriguez pitched a pretty good game overall although he still didn't make it out of the sixth inning. Still, he was solid for the most part and the offense made the clutch hits they needed to in order to squeeze out the win and pick up a game in the standings. (4/20 at Tampa Bay Rays): Game two of this series had Rick Porcello looking to atone for his first three terrible starts and for the most part he was locked in. The Sox staked him to a five run lead over the first two innings punctuated by Andrew Benintendi's first career grand slam. Rick did give up a couple of runs but for the most part pitched pretty well. Alex Cora pulled him prematurely (in my opinion) after only two outs in the sixth inning and it ended up costing them when Heath Hembree, Bobby Poyner, and Matt Barnes allowed the Rays to tie the game in the later innings. It was left to the ninth inning before the Sox put together some smart situational baseball and pushed across the winning run. Jackie Bradley led the inning off with a single, advanced to third on Michael Chavis' double (his first career hit! ), and was drive home by Benintendi's sacrifice fly. The final out of the game was a trick play perfectly executed by Steve Pearce and Christian Vazquez to pick Tommy Pham off at first base...not something you see too often! That all added up to an exciting 6-5 win and the first series win of the season for the Sox (and conversely, the first series loss for Tampa). Quick Hits: Boston went 3-3 over this past week and after the embarrassment of getting blown out and swept in the Bronx, they're starting to look as we expected them to in Tampa. Winning the first two of three games on the road against a very good Rays team was definitely a step in the right direction. The starting pitching has looked better as the week has gone on although the bullpen has regressed during the same span. The clutch hits have been nice to see as has the recent surge in power from Mookie and Benintendi. Some bad news with Eovaldi's arm issue, but hopefully they can weather his absence and continue warming up at the plate to compensate. The Sox still have the worst run differential in the league so if they're going to start mashing now, that would be very welcome. 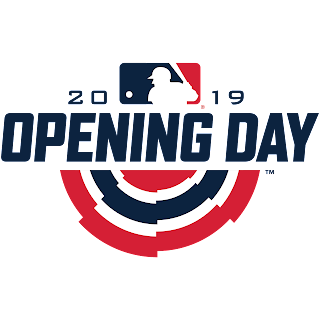 Finally, after the final game against the Rays the team will head home for a ten game homestand which would go a long way toward digging themselves out of their early season hole.